Fabricio Werdum, who takes on Alexander Volkov in the main event of the UFC’s Saturday night return to London, England, recently almost had his nose broken by legendary heavyweight boxer Mike Tyson. The former UFC heavyweight champion Werdum recounted this wild story in an interview with TMZ. Apparently, it went down on the set of the movie Kickboxer: Retaliation. 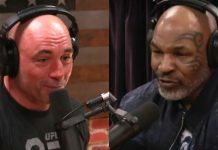 The former UFC heavyweight champ was running through a fight scene with Tyson, during which Tyson inadvertently blasted him in the nose with one of his devastating punches. Werdum went on to explain that he wasn’t too bothered by Tyson’s inadvertent punch, simply because it came from Tyson. Werdum also didn’t even think about firing back with a punch of his– though the thought of a takedown did cross his mind. Luckily, this punch landed by Mike Tyson wasn’t severe enough to force Werdum about of his looming bout with Volkov. 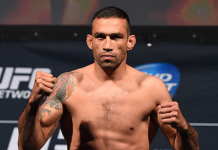 Fabricio Werdum will enter his showdown with Alexander Volkov on a two-fight streak, having recently submitted Walt Harris and defeated Marcin Tybura by decision. 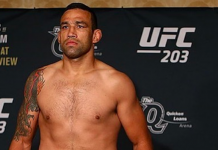 Widely considered one of the best heavyweights in MMA history, Werdum’s last lost occurred in July of 2017, when he lost a close decision in his third battle with fellow legend Alistair Overeem. 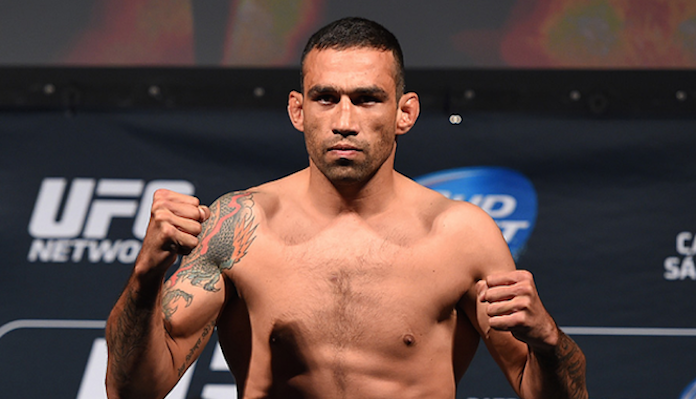 Werdum is 23-7-1 overall.